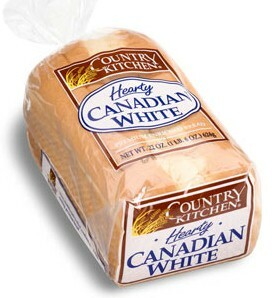 Country Kitchen Hearty Canadian White Bread 22 oz. Home / Pantry Items / Breads & Stuffing / Country Kitchen Hearty Canadian White Bread 22 oz. Home / New England Classics / Breads & Stuffing / Country Kitchen Hearty Canadian White Bread 22 oz. Home / Specialty Grocery / Breads & Stuffing / Country Kitchen Hearty Canadian White Bread 22 oz. Home / Foods of New England / Breads & Stuffing / Country Kitchen Hearty Canadian White Bread 22 oz. 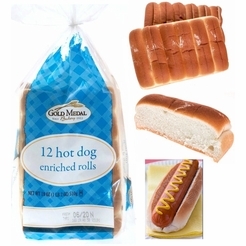 Home / BBQ & Grilling / Meats & Breads for Grilling / Breads & Stuffing / Country Kitchen Hearty Canadian White Bread 22 oz. Home / Hot GIFT Ideas / BBQ & Grilling / Meats & Breads for Grilling / Breads & Stuffing / Country Kitchen Hearty Canadian White Bread 22 oz. Home / Hot GIFT Ideas / Gifts For Him / Party Favorites / BBQ & Grilling / Meats & Breads for Grilling / Breads & Stuffing / Country Kitchen Hearty Canadian White Bread 22 oz. Home / New England Classics / Clambake & Seafood / Meats & Breads for Grilling / Breads & Stuffing / Country Kitchen Hearty Canadian White Bread 22 oz. Home / Foods of New England / Clambake & Seafood / Meats & Breads for Grilling / Breads & Stuffing / Country Kitchen Hearty Canadian White Bread 22 oz. Home / BBQ & Grilling / Clambake & Seafood / Meats & Breads for Grilling / Breads & Stuffing / Country Kitchen Hearty Canadian White Bread 22 oz. Home / Hot GIFT Ideas / BBQ & Grilling / Clambake & Seafood / Meats & Breads for Grilling / Breads & Stuffing / Country Kitchen Hearty Canadian White Bread 22 oz. Home / Hot GIFT Ideas / Gifts For Him / Party Favorites / BBQ & Grilling / Clambake & Seafood / Meats & Breads for Grilling / Breads & Stuffing / Country Kitchen Hearty Canadian White Bread 22 oz. Home / Pantry Items / Hometown Food Favorites / Meats & Breads for Grilling / Breads & Stuffing / Country Kitchen Hearty Canadian White Bread 22 oz. Home / New England Classics / Hometown Food Favorites / Meats & Breads for Grilling / Breads & Stuffing / Country Kitchen Hearty Canadian White Bread 22 oz. Home / Foods of New England / Hometown Food Favorites / Meats & Breads for Grilling / Breads & Stuffing / Country Kitchen Hearty Canadian White Bread 22 oz. Home / Specialty Grocery / Hometown Food Favorites / Meats & Breads for Grilling / Breads & Stuffing / Country Kitchen Hearty Canadian White Bread 22 oz. 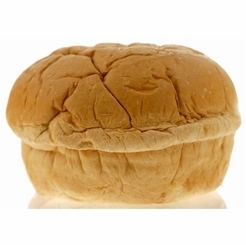 Home / Local Portuguese Foods / Hometown Food Favorites / Meats & Breads for Grilling / Breads & Stuffing / Country Kitchen Hearty Canadian White Bread 22 oz. Home / Pantry Items / Global Favorites / Local Portuguese Foods / Hometown Food Favorites / Meats & Breads for Grilling / Breads & Stuffing / Country Kitchen Hearty Canadian White Bread 22 oz. Home / Specialty Grocery / Global Favorites / Local Portuguese Foods / Hometown Food Favorites / Meats & Breads for Grilling / Breads & Stuffing / Country Kitchen Hearty Canadian White Bread 22 oz. Home / Foods of New England / Local Portuguese Foods / Hometown Food Favorites / Meats & Breads for Grilling / Breads & Stuffing / Country Kitchen Hearty Canadian White Bread 22 oz. Home / Pantry Items / Hometown Food Favorites / Breads & Stuffing / Country Kitchen Hearty Canadian White Bread 22 oz. Home / New England Classics / Hometown Food Favorites / Breads & Stuffing / Country Kitchen Hearty Canadian White Bread 22 oz. Home / Foods of New England / Hometown Food Favorites / Breads & Stuffing / Country Kitchen Hearty Canadian White Bread 22 oz. Home / Specialty Grocery / Hometown Food Favorites / Breads & Stuffing / Country Kitchen Hearty Canadian White Bread 22 oz. Home / Local Portuguese Foods / Hometown Food Favorites / Breads & Stuffing / Country Kitchen Hearty Canadian White Bread 22 oz. Home / Pantry Items / Global Favorites / Local Portuguese Foods / Hometown Food Favorites / Breads & Stuffing / Country Kitchen Hearty Canadian White Bread 22 oz. Home / Specialty Grocery / Global Favorites / Local Portuguese Foods / Hometown Food Favorites / Breads & Stuffing / Country Kitchen Hearty Canadian White Bread 22 oz. Home / Foods of New England / Local Portuguese Foods / Hometown Food Favorites / Breads & Stuffing / Country Kitchen Hearty Canadian White Bread 22 oz. Home / Pantry Items / Meats & Seafood / Breads & Stuffing / Country Kitchen Hearty Canadian White Bread 22 oz. Home / New England Classics / Meats & Seafood / Breads & Stuffing / Country Kitchen Hearty Canadian White Bread 22 oz. Home / Hot GIFT Ideas / Gifts For Him / Meats & Seafood / Breads & Stuffing / Country Kitchen Hearty Canadian White Bread 22 oz. Home / Foods of New England / Meats & Seafood / Breads & Stuffing / Country Kitchen Hearty Canadian White Bread 22 oz. Home / Meats & Seafood / Breads & Stuffing / Country Kitchen Hearty Canadian White Bread 22 oz. Home / Specialty Grocery / Meats & Seafood / Breads & Stuffing / Country Kitchen Hearty Canadian White Bread 22 oz. Home / Hot GIFT Ideas / Gifts For Him / Party Favorites / Meats & Seafood / Breads & Stuffing / Country Kitchen Hearty Canadian White Bread 22 oz. 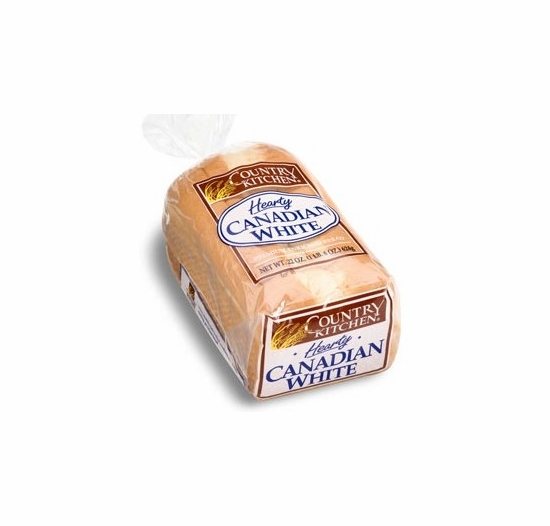 Home / Popular Brands / Country Kitchen / Country Kitchen Hearty Canadian White Bread 22 oz. Home / Foods of New England / Brands (New England Favorites) / Country Kitchen / Country Kitchen Hearty Canadian White Bread 22 oz. Home / Pantry Items / Breakfast Pantry / Biscuits & Breads / Country Kitchen Hearty Canadian White Bread 22 oz. Home / New England Classics / Breakfast Pantry / Biscuits & Breads / Country Kitchen Hearty Canadian White Bread 22 oz. Home / Specialty Grocery / Breakfast Pantry / Biscuits & Breads / Country Kitchen Hearty Canadian White Bread 22 oz. Home / Foods of New England / Breakfast Pantry / Biscuits & Breads / Country Kitchen Hearty Canadian White Bread 22 oz. Before Ordering, please refer to Special Shipping Requirements. All Country Kitchen breads are baked fresh to order. Please allow 4-5 business days for your order to be shipped. UPS Ground is the Standard method of shipping for this item. Country Kitchen has their neighbors to the North to thank for this regional classic. What makes Canadian White bread different than American versions? It’s a wider loaf for a bigger slice, it’s a bit heartier, and it’s a delectable choice for grilled cheese or the perfect BLT — with Canadian bacon, of course! Please note: Freshness date is usually 7-9 days from the day it is shipped. Gift Wrapping is not available on this item. This product is packed for Ground shipping only. For Premium shipping, please contact Customer Service for shipping quote. 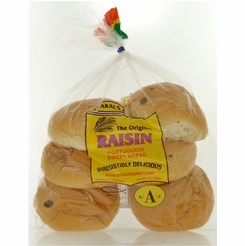 All Country Kitchen products are baked fresh to order. Please allow 4-5 business days for your order to be shipped. Country Kitchen products are baked fresh to order and sent to us in in approximately 4-5 business days from the day your order is processed. UPS Ground is the standard method of shipping for this item. For premium Three Day, Two Day and Next Day shipping cost, please contact customer service at 1-866-646-4266 for a shipping quote. Please factor this in when estimating arrival of your order. Best used by dates are approximately 7-9 days from the day your order is shipped. Gift Wrapping is not available on this item. This product is packed for Ground shipping only. For Premium shipping, please contact Customer Service for a shipping quote. 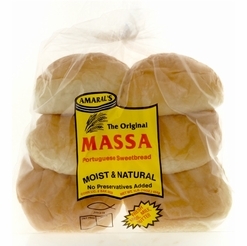 Large Portuguese Sweetbread 28 oz.